With less than a month left for JEE Main 2019, the process for the same has been already started for a while. Every year, lakhs of eligible students apply and write this exam for probable admissions into the best of educational institutions in India – NITs, IIITs and CFTIs. Therefore, it’s all the more important for students to keep up with the latest information related to this exam, including online submission of JEE Main application forms, downloading of JEE Main admit card, payment of application fees etc. Hence, this blog will be looking at the same, but with focus to one particular aspect of the JEE Main i.e. JEE Main admit card which is an important part of your exam as it guarantees your participation in this exam and acts like the key to write your exam. As of now, JEE Main admit cards have been released today i.e. 17th December, 2018 on the main website. Now, with regard to this, there are a few guidelines that needs to be looked into for downloading one’s JEE Main admit card. The JEE Main admit card can only be downloaded from the JEE Main website. It will not be sent, under any circumstances, to the candidates by post. Using their login id and password information, one can access their JEE Main admit card on the official website. There will be a list of instructions on the admit card, that needs to be followed by the candidate. This will deal with the do’s and don’ts to be followed during the course of the actual exam. One of the first things that is to done is to see that the paper (Paper 1 or Paper 2) mentioned on the admit card is the same as the one applied by the candidate. The next thing is to see the name of the city, date and shift of the exam in the admit card. The other information that is usually available on the admit card are timings of the exam, entry into the examination hall, for candidates reach the examination centre and be seated in the examination hall, instructions from the invigilators and the official examination time. Also, JEE Main admit card will only be available to those candidates whose application forms are found to be accurate – with regard to all the information provided by a candidate at the time of submitting their JEE Main application form. After downloading the admit card, a candidate is requested to maintain it carefully until the date of exam and examination results. JEE Main admit cards are important because it will contain the information about the Centre – where one is supposed to write the exam, and the date and time of the exam as well. For any reason, if one is not able to download JEE Main admit cards from the website, he/she can request for help from the official helpline as mentioned on the main website. At the same time, if there is any mismatch in the details of the candidate’s name or age or any other details in the admit card, the same can be brought to the attention at the official helpline. Following these guidelines is essential as it is common knowledge that one won’t be able to write the exam without showing his/her JEE Main admit card. Also, filling in the correct information at the time of submission of application forms is essential as the same won’t be changed under any circumstances once the date and center of the exam venue is printed in the admit card. The exam dates for the first attempt is scheduled to be held between 6th January and 20th January, 2019. 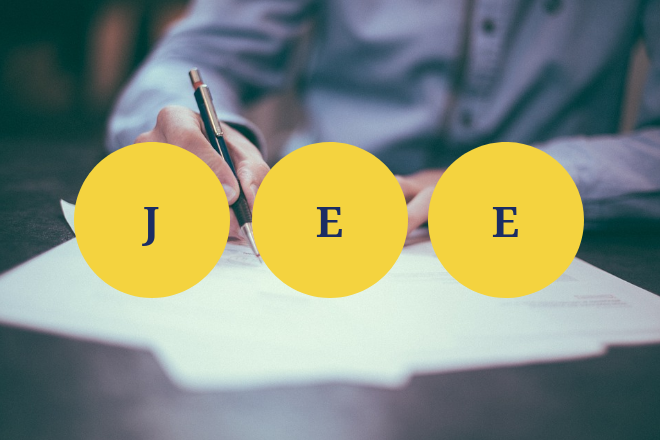 JEE (Main)–2019 shall have two papers, Paper-1 (B. E. /B. Tech.) and Paper-2 (B. Arch./ B.Planning). One can take any of the papers, depending on their interest for further studies in this stream. Paper 1 will be strictly online test whereas Paper 2 will be given in both – online mode and offline mode. As of now, the official time of the exam is scheduled from 9.30 am to 12.30 pm. Compactus Mobile Shelving: Is It Important?